It was a challenging four rounds of football for the coaches in the A-League. Remarkably, no team won all four games and only the Brisbane Roar lost all four matches during this period. Mark Rudan was the stand-out, despite being out-coached by Marco Kurz. 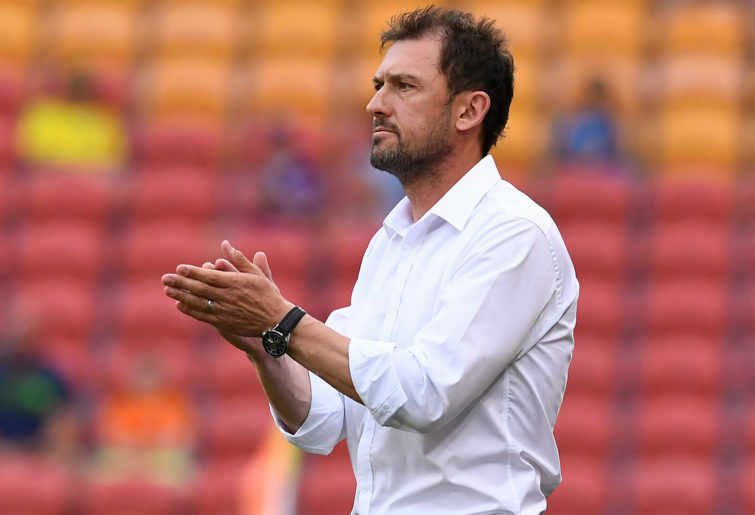 The coaching ladder was difficult to compile as the results in the A-League were unpredictable and Mike Mulvey’s tenure ended after Round 21 and Alen Stajcic was appointed the Mariners’ interim manager. Find out what transpired over the past month. It was a remarkable four weeks of football for Phoenix manager Mark Rudan, as the Nix managed to take nine out of a possible 12 points on offer. The Phoenix scored a total of 16 goals in the four matches that they played in. Rudan would be disappointed with his side’s failure to get anything out of Round 24 as Adelaide United were down to ten men for the second half of that contest. United claimed six points out of a possible 12, which isn’t too bad when considering Kurz’s tenure will finish at the end of the season. The highlight of the four rounds came in Round 24 when United beat the Nix, even though Adelaide had ten men for the second half. It’s difficult to stay at the top of the ladder, but it appears as if the Glory will claim the premier’s plate, predominantly thanks to the managerial nous of Popovic. The Glory did well to claim seven out of a possible 12 points and only lose one game. Despite scoring a total of seven goals in four games, the Wanderers’ finals hopes are over, even from a mathematical perspective. The Wanderers won two and lost two, with only one of the four games that they were involved in having a margin of one goal. The Victory claimed six from a possible 12 points on offer. It was a mixture of results. The Victory beat Glory, but lost to the Jets. They are a difficult team to get a read on. City claimed seven of a possible 12 points on offer and only lost once, but it was a bad loss, destroyed 3-0 by the Wanderers. City managed to score eight goals in the four games that they played in. The Sky Blues managed to accumulate a total of nine points from the 12 on offer, but the loss to City was an extremely poor performance from the Sky Blues, a lacklustre 2-0 loss. The Jets may have scored a total of eight goals in four games, but they lost to the Mariners and were annihilated by the Wellington Phoenix. They did claim a total of six from a possible 12 points on offer, but they needed more points to be in contention for a top six finish and the opportunity to play finals. Stajcic did a reasonable job in bringing some morale back for the Mariners. The players seemed to be enjoying their football again. There is a still a lot of work to do, but Stajcic did a reasonable job to help the Mariners claim three from a possible nine points. No positives to speak of for the Roar. They failed to claim a single point in the four games Davies’ was in charge of.